Liverpool booked a place in the third round of the EFL Cup with a comprehensive 5-0 victory over Burton Albion at the Pirelli Stadium on Tuesday night. Divock Origi flicked the Reds into an early lead, before Roberto Firmino added his name to the scoresheet moments later with a placed header into the corner. Jürgen Klopp’s side’s grip on the contest was strengthened when Tom Naylor turned Emre Can’s header from a corner over his own line just after an hour of play. And Daniel Sturridge came off the bench to expertly add the fourth and fifth of the night to send Liverpool comfortably into Wednesday’s third-round draw at the expense of Nigel Clough's men. Joel Matip makes competitive debut for Reds. Origi and Firmino on target inside opening 22 minutes. Naylor own goal just after the hour furthers the visitors’ advantage. Sturridge comes off bench to grab a brace and wrap up the tie. The teamsheet confirmed four changes for Liverpool from Saturday’s defeat to Burnley in what was a strong line-up named by Klopp. In came Matip for his competitive debut, while there were also starts for Origi, Can and the fit-again Sadio Mane. Sturridge, Ragnar Klavan and Georginio Wijnaldum dropped to the bench, while Philippe Coutinho was not involved. The tie got off to a typically frenetic start at the Pirelli Stadium as Burton looked to unsettle their guests from the off – but it was Origi who had the game’s first opportunity inside the opening five minutes, striking low from an angle inside the area before watching Stephen Bywater push it to safety. Soon after, the hosts' goalkeeper pulled off a more spectacular save, flying to his left to repel Firmino’s powerful header from Adam Lallana’s delivery. Despite the Championship team’s exuberance, it appeared a Liverpool goal was coming – and it duly arrived in the 15th minute. Mane brilliantly took down Milner’s deep cross, sped beyond Damien McCrory and squared for Origi to back-heel into the net from inside the six-yard box. And it was soon two for the Reds as Firmino’s run into the area met a deep cross from Nathaniel Clyne and the Brazilian guided a header into the far corner. 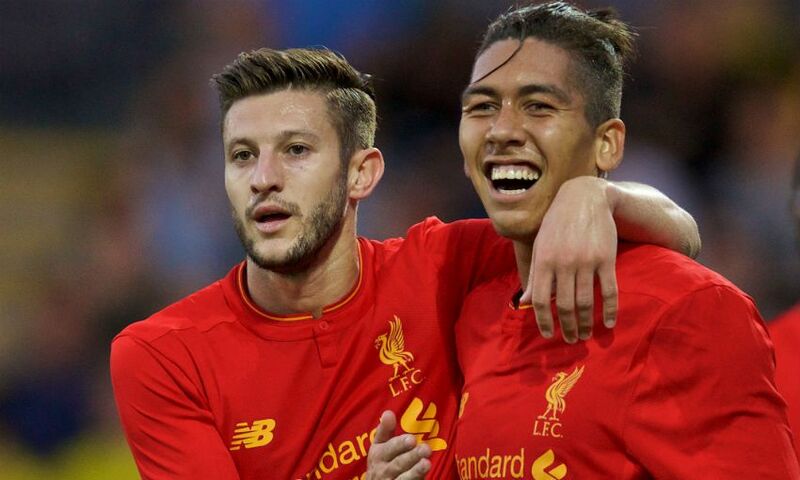 Liverpool showed no sign of letting up either, as Firmino and Jordan Henderson threatened to add to their tally. At the other end, Burton’s best opportunity came from Kyle McFadzean’s header, which sailed over Simon Mignolet’s crossbar. Burton emerged for the second period with a renewed determination to force their way back into the tie – and a handful of early corners raised enthusiasm once more inside the Pirelli Stadium. But just after the hour, their hopes were dashed once more as Liverpool went three ahead courtesy of an own goal from Tom Naylor, who inadvertently diverted Can’s header from Milner’s corner over the line. That goal prompted Klopp to make a double change as Sturridge and Wijnaldum entered the action in place of Firmino and Lallana. And a third substitution soon followed, this time an enforced one as Can sustained a knock that meant he was replaced by Kevin Stewart with 20 minutes left on the clock. Nevertheless, the scoring wasn’t done for Liverpool as Sturridge helped himself to two before the conclusion. First, he profited from some great work by Milner, who collected Mane’s pass on the right and slipped a ball across the face of goal for the striker to tap in at the back post. Then he found the bottom corner with a thunderous left-footer from 12 yards out after being found by Mane’s pass to nicely finish off a good night’s work from the Reds and put them into the next stage of the tournament. Watch Liverpool at Anfield in style this season with The Dugout, plus a range of hospitality offers. Click here for details.